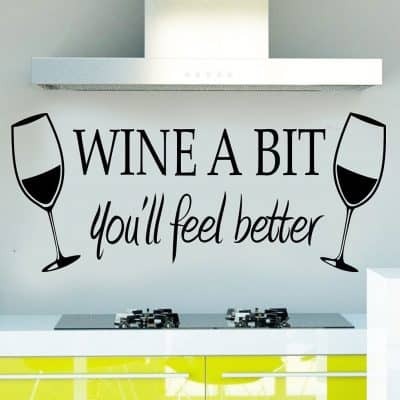 If you love drinking wine and savoring the taste of wine then you should take your wine interest to the next level by trying out my Wine Kitchen Decor Ideas and adding wine decorations throughout your kitchen! 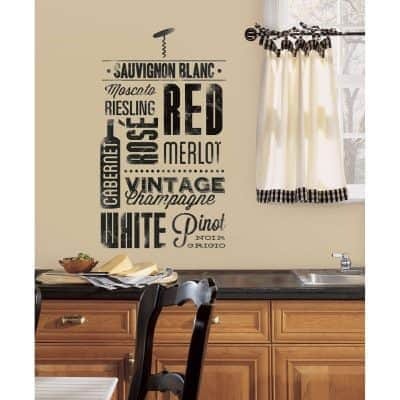 Add some wine kitchen decor to a plain boring kitchen. 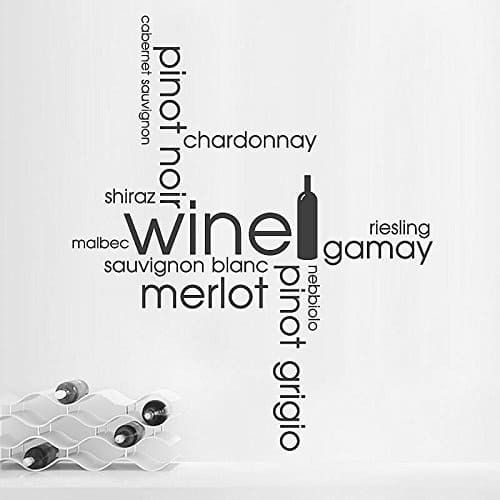 If you love drinking wine as much as appreciating it, then you should consider some of these ingenious wine kitchen decorations that will make your kitchen look like a wine lover’s paradise! A party is not a party without food and wine. This is why I infused food and drink in my choice of wall art. 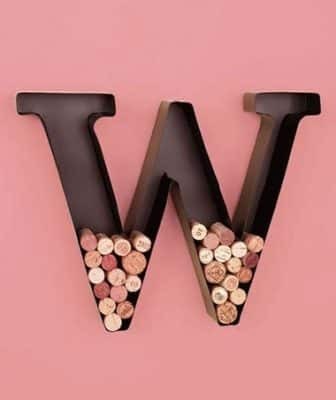 Wine wall art seems like a practical option because wine will never be absent whenever I am entertaining friends and families at home. 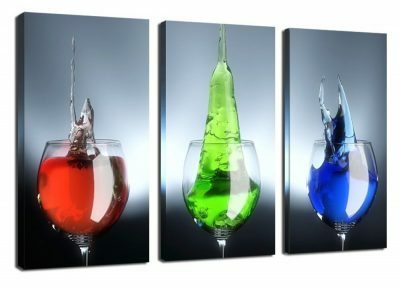 Fortunately, wall arts featuring wine look sophisticated. 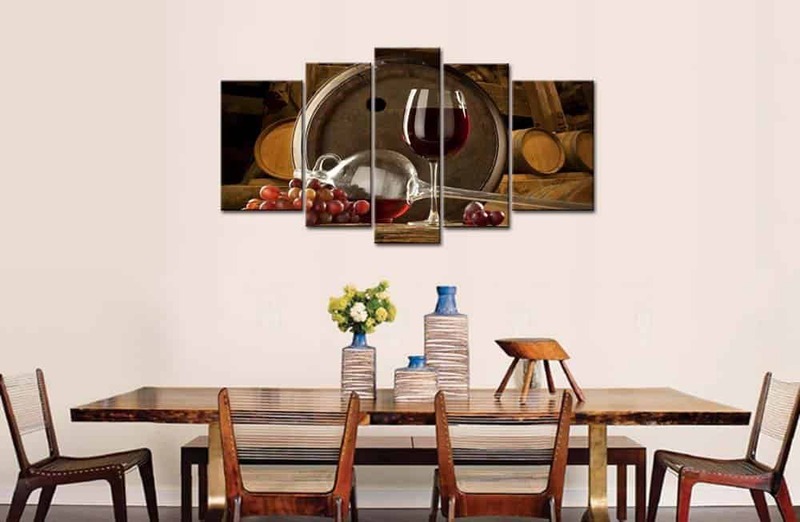 Of course, there are wine paintings, wine wallpaper and wine art that you can display on your kitchen’s wall. 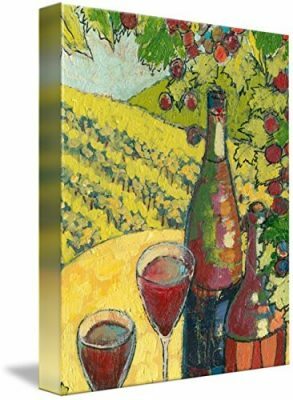 Many popular painters and modern impressionists have dedicated their life and talent to depicting wine and the art of making wine in the canvass. 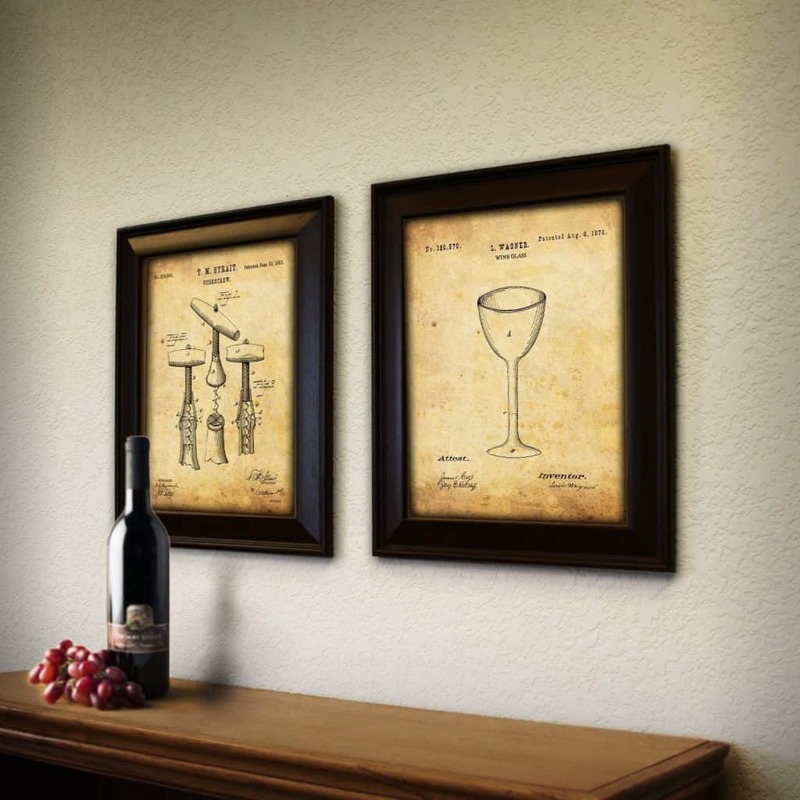 Wine wall art is great conversation pieces and are perfect for any room. Depending on your style and your interests, you can hang any kind of wall art. If you have a collection of pieces at home then this would do great but you may also find pieces that will complement your room. 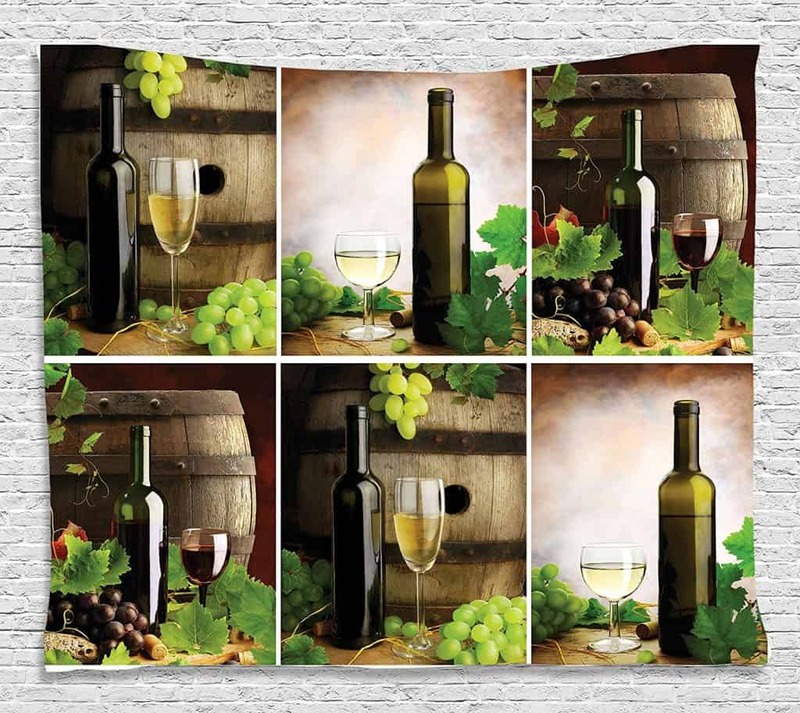 How about pictures of different wines, a landscape of wine county, an image of a wine taster in the golden ages or pictures of juicy ripe grapes of different varieties? 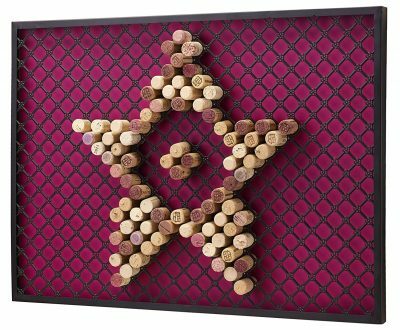 Wine wall art can be instrumental in creating a festive atmosphere especially during this season of entertaining. Home-cooked food and a glass of good wine seems to be more enjoyable when surrounded with great company and beautiful wall décor. The striking contrast between the purple splash of wine and the immaculate white background will surely catch the eye of the guests. It is perfect for homes with modern décor. 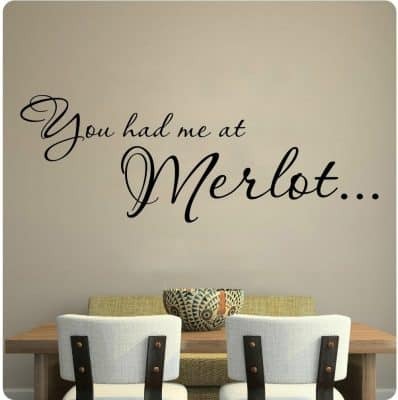 Merlot is my favorite kind of red wine, so I think this wall art would express my own personality as well as add beauty to my dining room where I usually hold intimate dinners with friends and families. Big art pieces look great whether the room is small or spacious. Sophisticated 3-piece art prints like this creates a focal point that catches the eye so easily. My small kitchen felt larger since I hung this wine wall art. 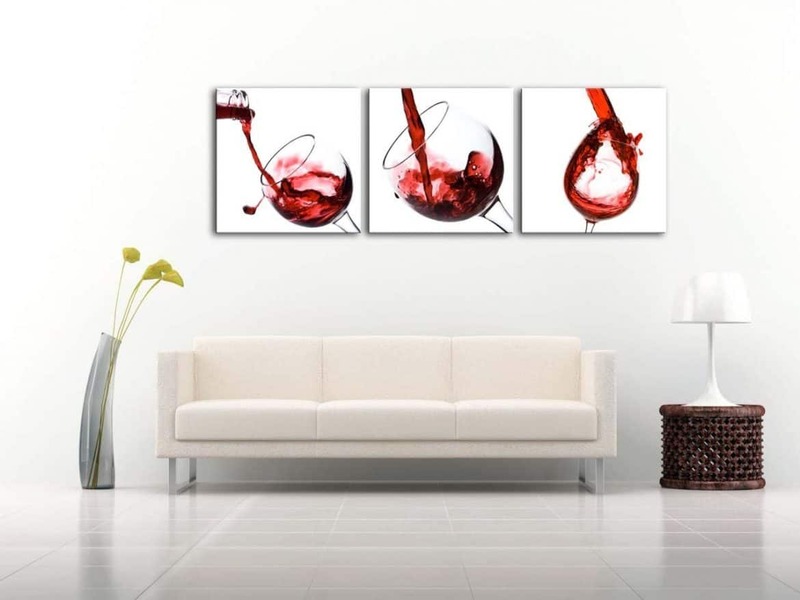 A triptych is one way to create an amazing visual impact to your Kitchen’s wine decor. So rather than choosing an expensive, life-size painting, this 3-piece set makes a room look more expensive. Some, if not all areas in my home, like the living room also serve as a place for relaxation. Sweet and positive messages like the one shown above makes an area conducive to distressing. Sentimental pieces should not be confined in the four walls of the bedroom. These decorative pieces can also add life to the living room. 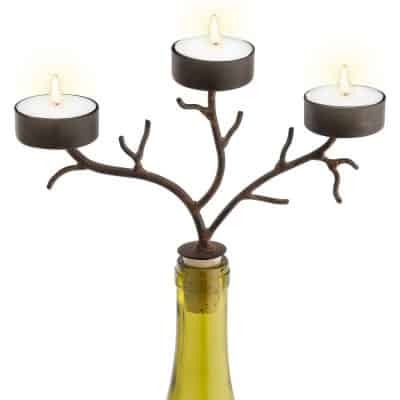 It can also turn into a conversation piece when entertaining. 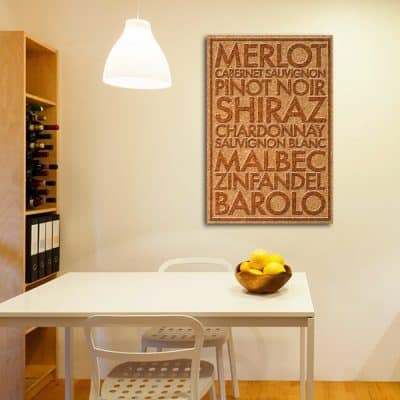 Rustic wine words or words about wine will make a great decoration for your room. 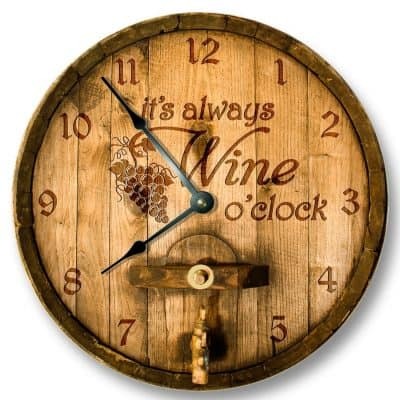 Famous words such as “Good friends, good wine, good times.” or “There is always time for a glass of wine.” will inspire you to serve the best wine in your collection. A lot of wine enthusiasts would also want to savor every sip with a good book so insert a few good reads in between those wine racks! 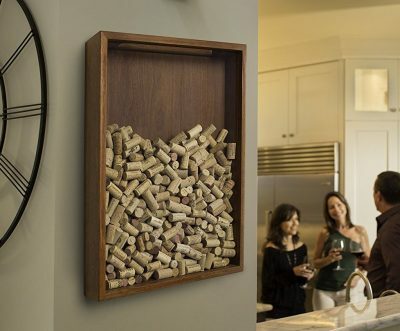 Wine cork art pieces are the most creative way to repurpose old wine corks. People like me who love wines usually end up with boxes full of wine corks. Because of they come from good quality evergreen trees, I always feel like it will be such a waste to throw them to the garbage bin. I don’t have much artistic talent but I would try doing anything if it is worthwhile. Turning my cork collection into a work of art seems like one of those projects that are worth the time and effort. Using the little creativity I have, I was able to create a few wall art pieces with rustic feel in them. Cork has an earthy color which makes it perfect for creating rustic or country style wall decor. As I started to work on them I discovered how easy they are to work with. The projects I did were only composed of simple cutting, painting, and gluing. When it comes to cutting, I found out that boiling the wine corks make the cutting easier. This keeps them from crumbling. When cutting, a coping saw is the best tool to use. Make sure to go slow while cutting each piece of cork. A block of wood will help a lot in making the cut smooth. Some crafters I know also use X-acto knives because they are super sharp and perfect for carving out the details on the wine cork. The cut edges may feel a bit rough but this can be remedied using a fine sanding paper. My trick is to place sand paper on the table then swipe the wine cork across it until satisfied with the smoothness. Dyeing or painting cork gives them a nicer, brighter color. I make sure to keep away from really dark shades. I like to keep the printing and the grain of the cork visible as this is what makes them interesting. I would advise against following the directions in most dye packs. I use less dye than recommended. It is a fairly easy thing to do, actually. I just prepared the dye, placed the corks inside a zip lock bag, and left it overnight. When painting or dyeing corks for any wine cork art it is fun and advisable to get creative and experiment a bit. The first time I did this, my shirt got splashed over and my hands were purplish because I made the mistake of not wearing gloves and apron. The gluing part is probably the easiest. Wine corks are super light and a simple glue gun is enough to keep the corks from breaking apart. Some of my craftier friends recommend stronger crafting glues like the E6000 craft adhesive. They say it is best for projects that may be exposed to constant wear and tear. Creating a wine cork art does not require advanced crafting skills. As long as you know how to do the above three steps you will successfully be able to create art projects using wine corks. 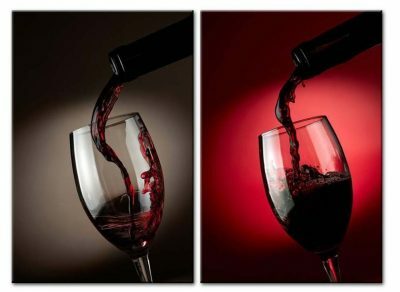 If you are looking for great wine décor for your home or ornaments for your wine cellar or game room then check out the following cool ideas. 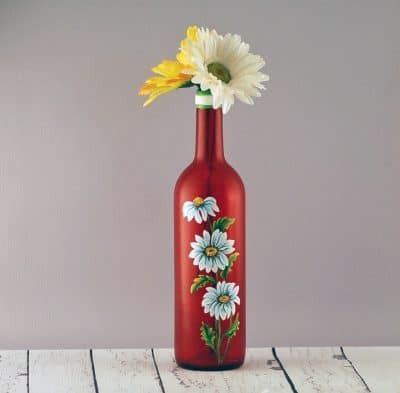 Wine bottle decorations can be made with any empty wine bottle. If you have a lot of empties – do not throw them away! You can create great homemade décor ideas that will make your guests say “Wow! 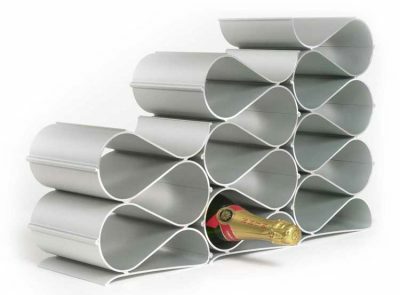 How did you come up with these great ideas?” and you can be like, “Decor Snob” of course! 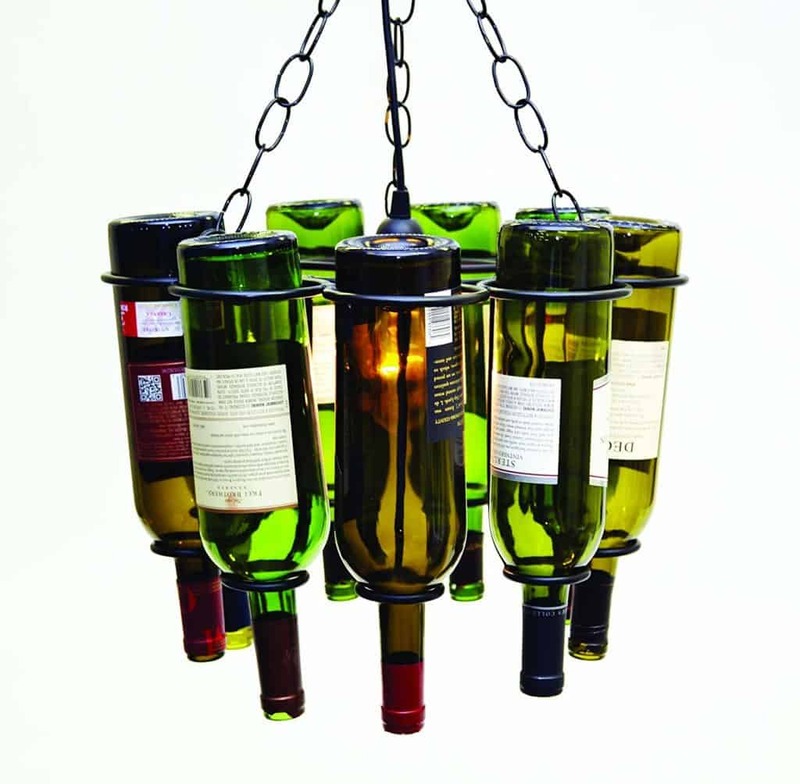 Another ingenious decoration for your kitchen is to create a chandelier made of wine bottles. Clean and dry ten or more wine bottles. Pick a circular frame where you can place or thread lights in. Place a strong thread over the mouth of your clean and dry wine bottles so you can suspend the bottles along the edges of the frame. Place this cool and artistic chandelier above your kitchen island or dining area. Turn the lights low in your dining area and power on your chandelier. Wine bottles make great vases. The tall slender neck of most wine bottles complements long-stemmed roses and tall flowers such as tulips and sunflowers. 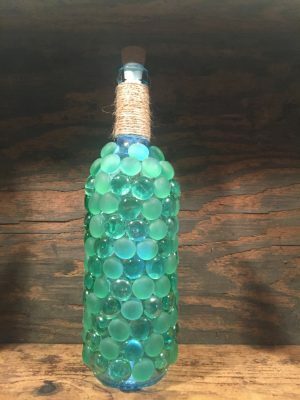 Add some sand, marbles or small items to keep the bottle sturdy. Fill them with water and arrange your flowers. Place them on your kitchen counter or on your kitchen table. These beautiful blooms and wine bottle vases make for an excellent wine kitchen décor. 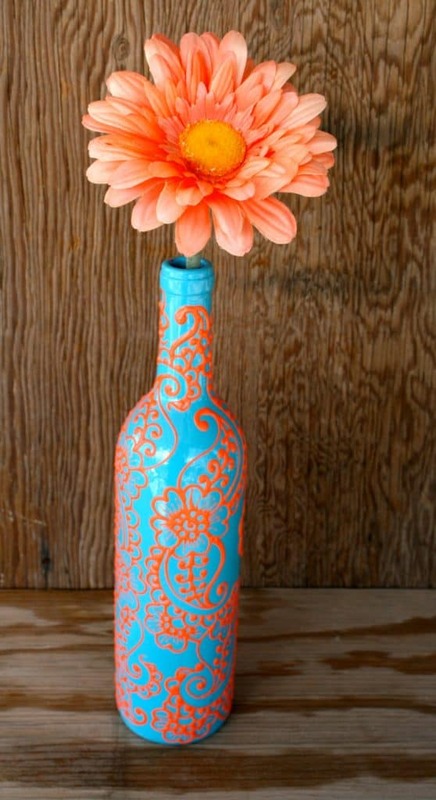 What to decorate the outside of your vase too? Wrap the bottles with soft and colorful tissue paper. Roll the tissue paper around the bottle from top to bottom – like a mummy. Make sure that no tissue is left hanging from the bottle. Keep the tissue wrapped tight. Now spread white glue all over the bottle body. Dry it completely and you will get a shiny colorful vase! 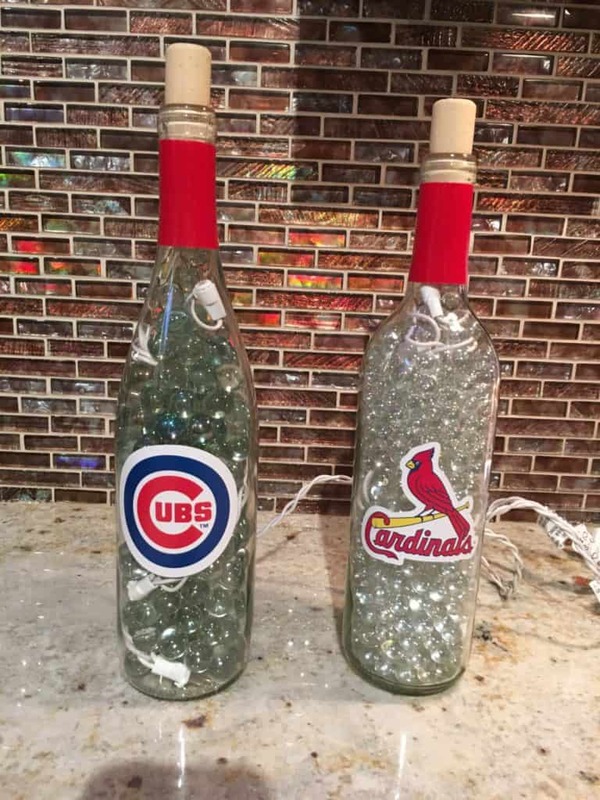 Bonus points: Before the glue dries, roll the wine bottle in some glass beads to bedazzle your bottle. You can make it even more colorful by using two kinds of beads. 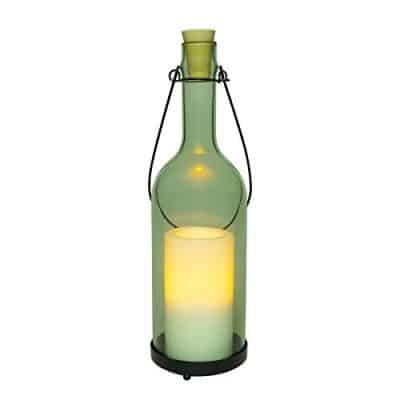 Green wine bottles can make for a great vase which is perfect for a formal dinner centerpiece. Clean green wine bottles and dry them completely. Fill them up halfway with sand or marbles and then fill these with clean tap water. Place your long stemmed flowers such as roses, lilies and sunflowers. 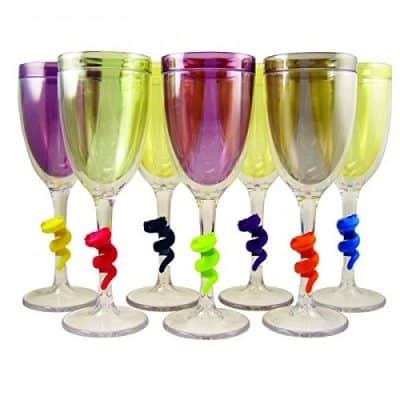 A cool idea is to place one stalk of lily in each bottle and tie four to five wine bottles together with a colorful bow. Place this on your table and watch your guests compliment you on your beautiful centerpiece! 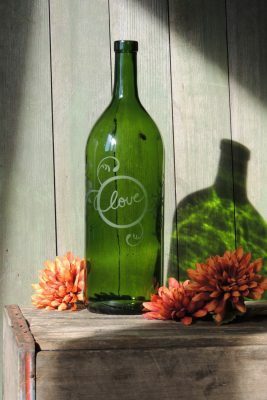 You can fill a clear wine bottle halfway with many creative things. Small beads could be neat but don’t just drop them all at once. Drop them in layer upon layer inside the bottle. 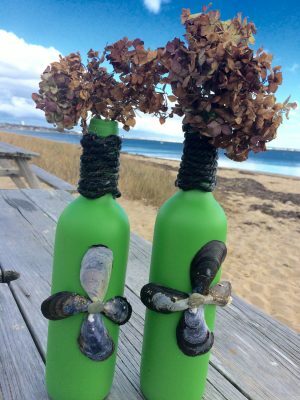 Create a beautiful wave pattern to make your wine bottle decoration interesting. 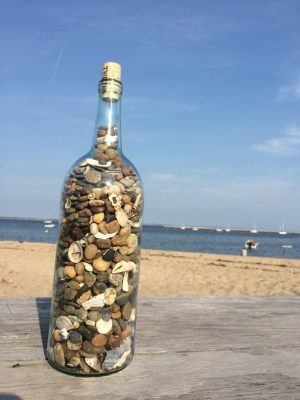 Another idea is to pour in sand along with a few pieces of shells and rocks. You can also drop in different colored marbles. There are a lot of different colors and sizes of marble. You can try all the same colored marbles in one bottle and mix all different colored marbles in another bottle. Be sure to secure the bottle with a nice cork. in a clean wine bottle. 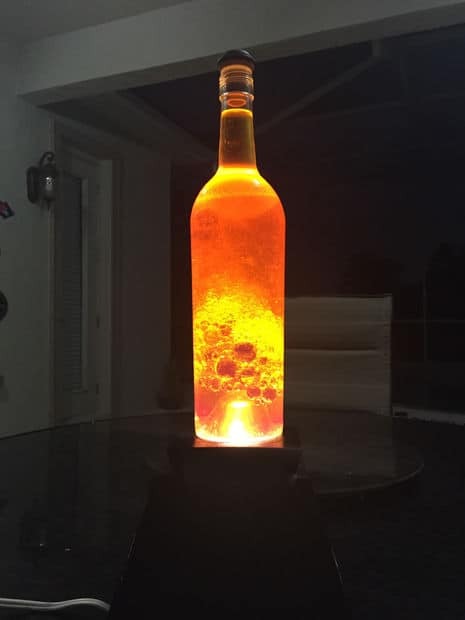 Illuminate your makeshift lava lamp by placing the wine bottle in front of a lamp or on top of a light source. Make sure that the mouth of your bottle is completely sealed to avoid spilling the oil/water mixture as you shake up your lava lamp. 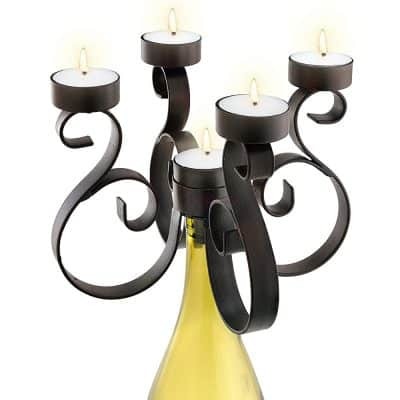 Turn your beautiful wine bottles into candle holders! 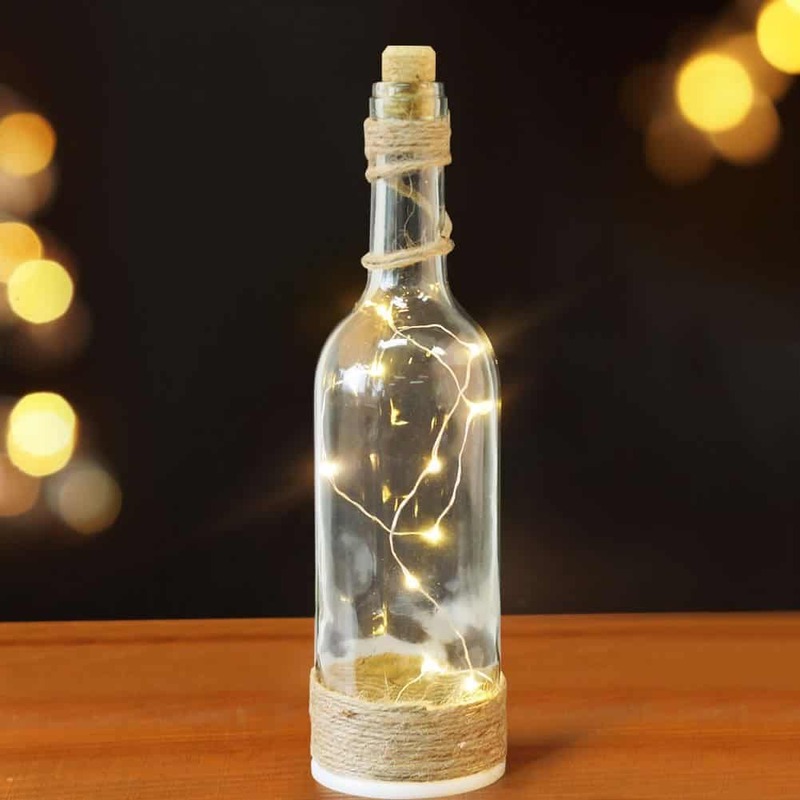 Decorate the wine bottles by filling it with beads, sand or marbles and placing a candle on top. 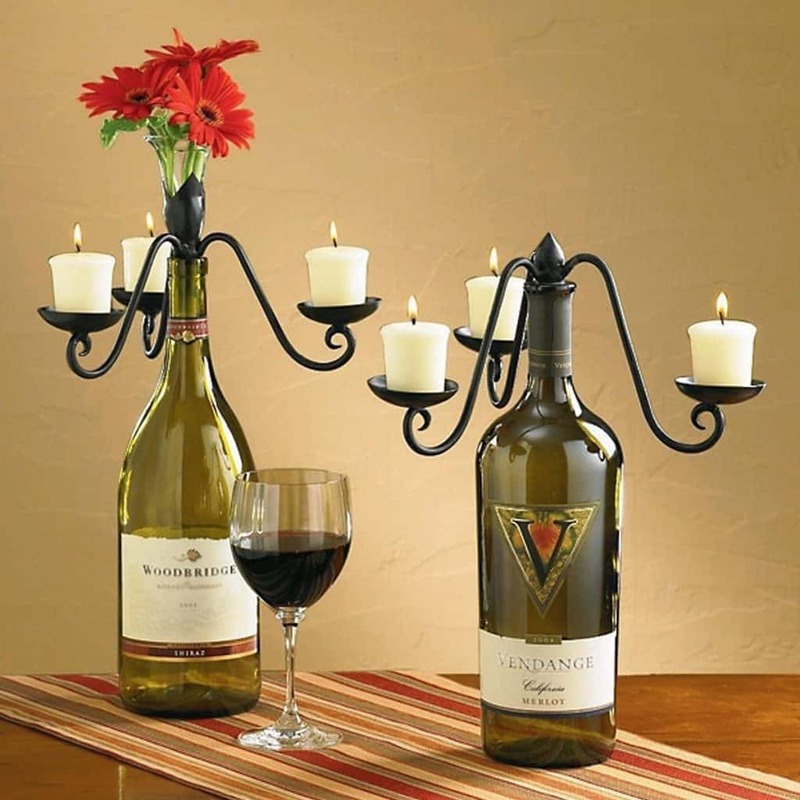 Wine bottle centerpieces are perfect for special occasions. Wine bottles can become great centerpieces with just a few small adjustments. 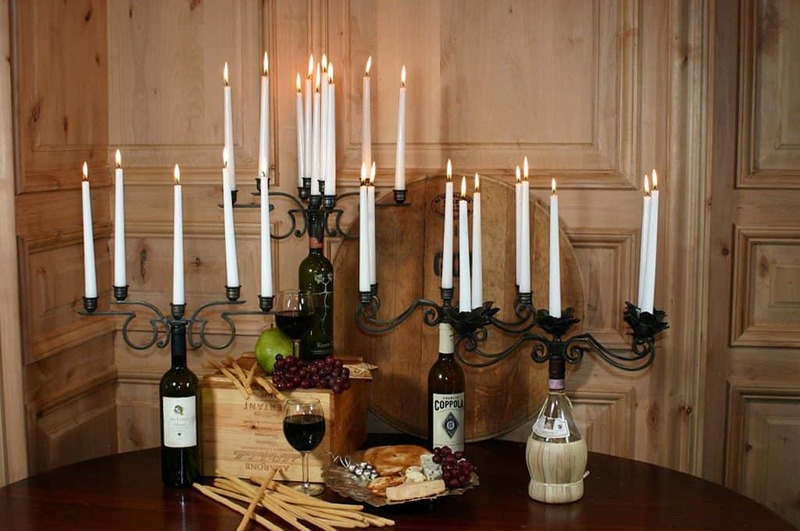 Transform any simple dining table into an elegant dining area with six or more wine bottles with long candles. 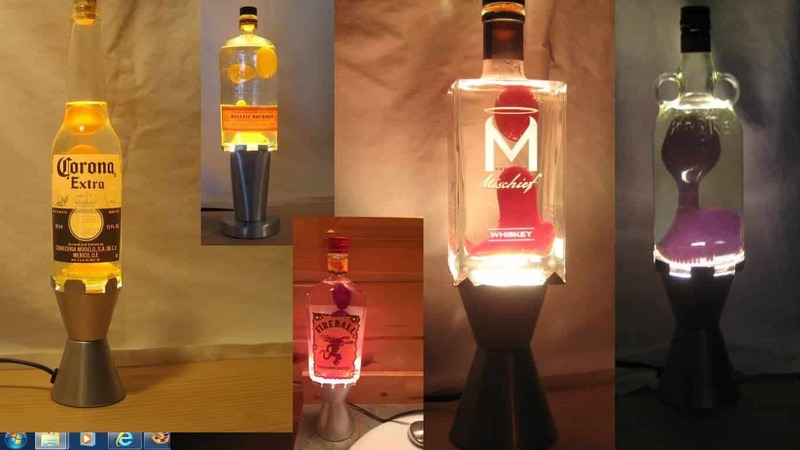 Make your candle holders even more interesting by using bottles of different heights and sizes in the group. To create a dramatic effect, light the candles first and allow the wax to drip along the sides before you invite your guests to come on the table. 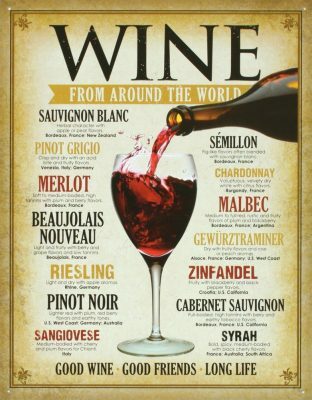 Do you have a collection of wine glasses? 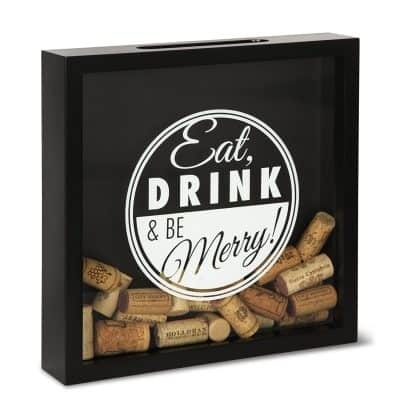 If you do then they could also be perfect wine décor for your room. 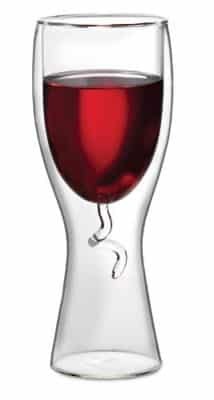 A collection of unique, weird and ridiculous wine glasses would be great conversation piece. Place them side by side on a wine cabinet or inside a lighted cabinet. 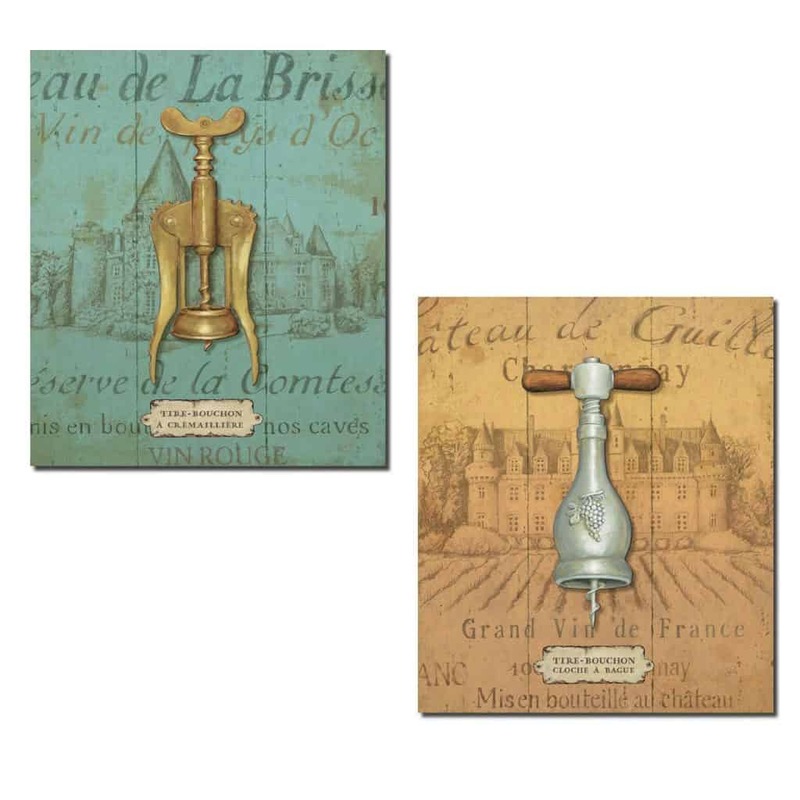 A wine rack may be the first thing that comes to mind when thinking of wine wall decorations. Of course, wine racks are a must for any wine lover. 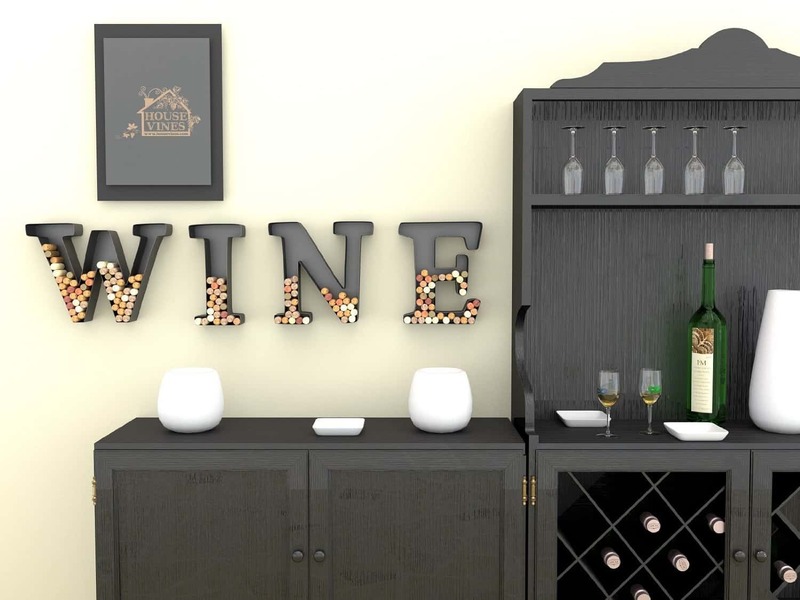 There are many kinds of wine racks that can be hung on a wall or set on your countertop. Pick your favorite bottles and carefully place these on your wine rack. Wine bottles are beautiful on their own. 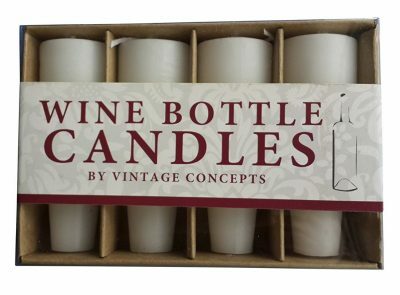 But by placing them on a counter rack and putting a few wine glasses around it, you are already decorating your kitchen with wine! 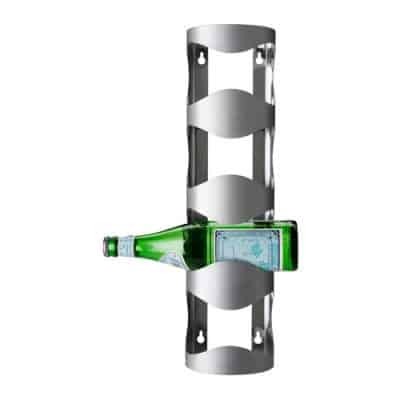 Such is this wine rack from IKEA made of light metal that holds wine bottles in a horizontal manner. 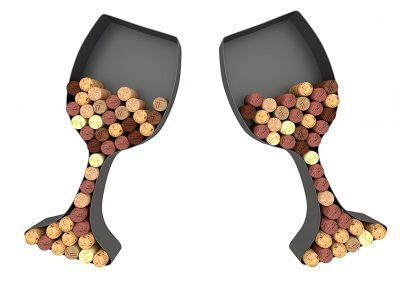 You can also explore other unique and creative hanging wine racks such as a wooden and metal wine rack that allows wine to be stored diagonally or upside-down. This beautiful piece can hold 20 bottles at a time and will let you quickly identify which bottle you want to drink or boast about to your guests. 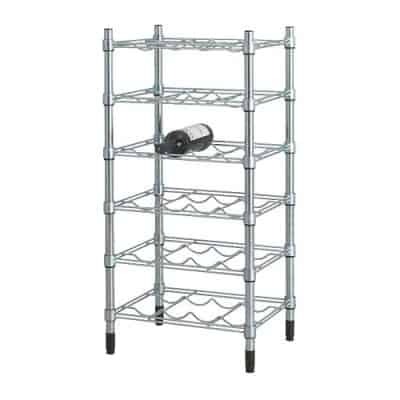 There are a lot of wine racks to choose from like metal racks, aluminum rack, wooden racks, and hard plastic racks. 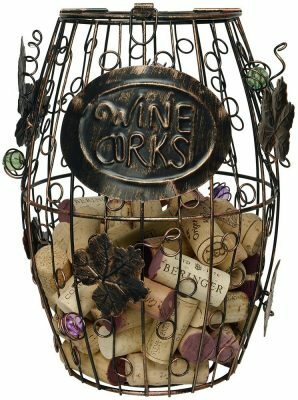 Look for interesting wine racks that showcase your best wines. 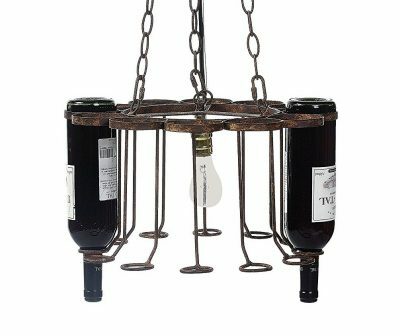 Check out hanging or suspended wire racks as an unconventional way to display your favorite bottles. You can also use a wine cabinet to showcase your beautiful collection. You can highlight your wine cabinet by using track lighting or spot lights. 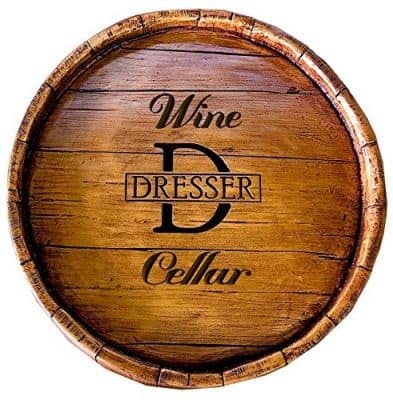 One of the most common wine wall decorations is a jutting wine barrel from a wall. 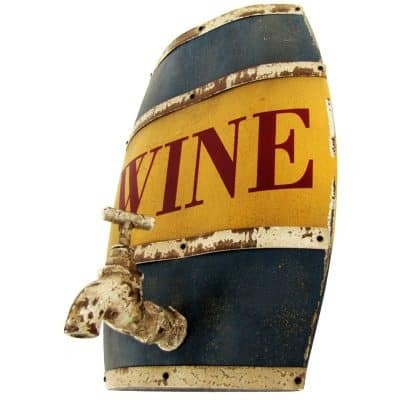 Depicting an actual barrel with wine in it, there is even a spout where wine can pour! 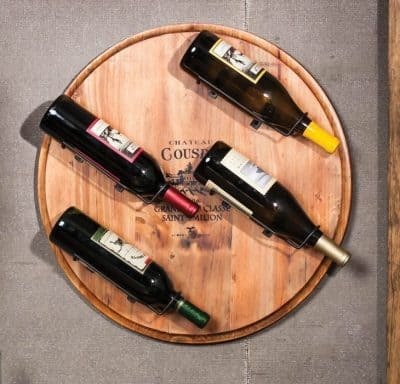 You can make your wine barrel even more interesting by making wine actually flow from the spout by using a special container that can be filled with wine which can be hidden behind the wine barrel. Watch your friends dazzle with amazement! 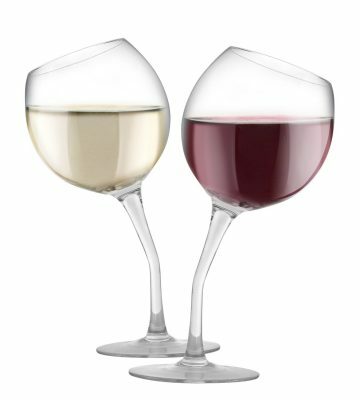 Your guests will want to take a sip of wine right away! There are hundreds of ways to make your wine tasting room, cellar or rec room the most talked about wine rooms in town. It simply takes time, an eye for beauty and talent to transform an ordinary room into a masterpiece! 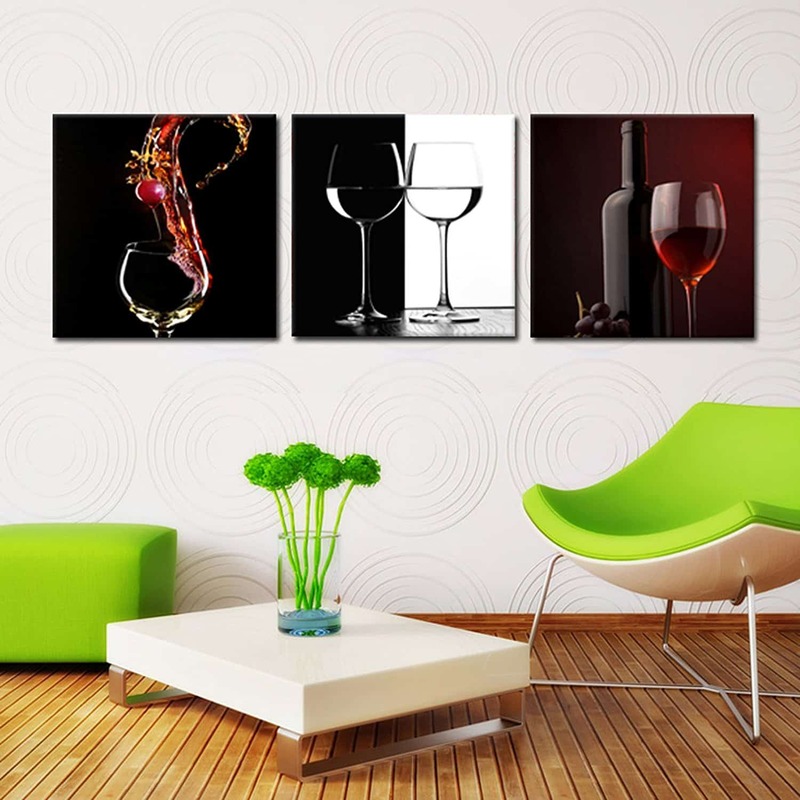 With these great wine decor ideas, your room will be the envy of all your friends! 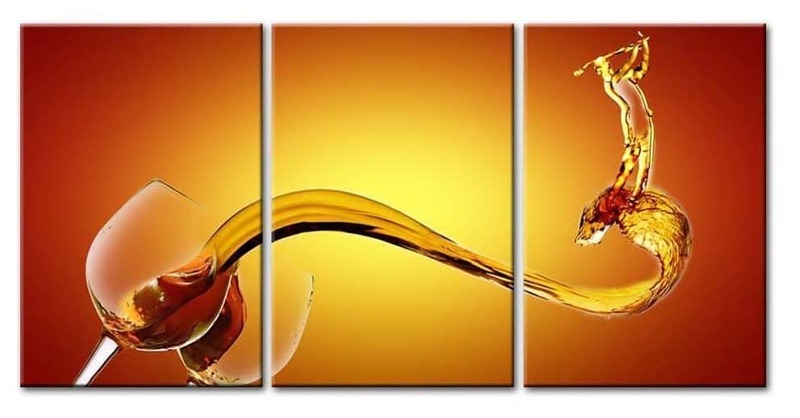 Although I can’t get a hold of an original Claude Monet or Salvador Dali, even the not-so-expensive wine arts can make my humble dining area a place for unforgettable entertainment. Home decor should be unique and innovative. Therefore, we need to follow the latest trends in home decor and in most of the occasion, we used to take the help of an interior designer to get the best kitchen design. Here also in this article, we have found some important kitchen design themes and especially the wine kitchen design theme will attract our attention. 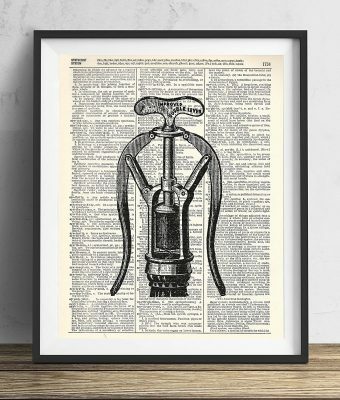 As a wine lover, I would like to adopt this kind of kitchen decor. Thanks for such a wonderful article. Such a useful tip you have written in this blog, it will be needed by so many. 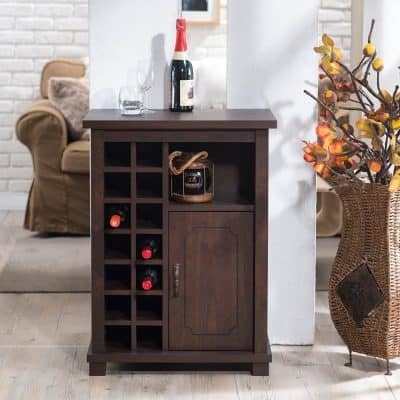 You have the best ideas for wine decor wine kitchen decor ideas. So keep sharing such kind of information.